Within the project, these methods are used with a double aim: on one side motivating early school leavers to re-enter lifelong learning and on the other side preventing young people at risk to prematurely drop out of educational paths. In Europe, despite many initiatives carried out, the numbers relating to early school leaving, especially in certain regions of the south, are still very high. The European countries, as one of the objectives of Europe 2020 strategy, have pledged to reduce early school leaving by 2020 under 10%. According to Eurostat, the average number of young Europeans (between 18 and 24 years old) who left school or training course in 2015 reached 11%, in Sicily is over 20%. Currently there are no studies that confirm the impact that storytelling and digital storymapping methods have in education. As part of Tell Your Story project, the right mix between the use of digital tools and creativity is considered successful in order to stimulate young people’s interest, to help them express their difficulties and to share their experiences. What are digital storytelling and storymapping? Digital storytelling can be considered a creative way to communicate stories, experiences or ideas using the potential of the tools offered by the web. This type of narrative is built by putting together various elements that can be combined such as video, audio, text, images, maps. A particular type of storytelling is, in fact, the one based on maps: digital storymapping. 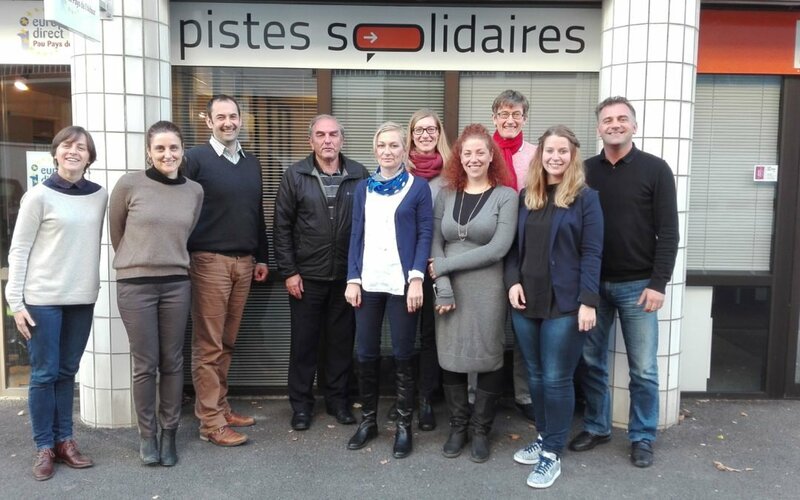 Tell Your Story has a duration of two years and it is implemented in partnership with six European organisations that met together for the first transnational project meeting in Pau, France, last 5th and 6th December. The first phase of the project includes the development of a research focused on existing projects dedicated to address early school leaving and on the deepening of digital storytelling and mapping. The research results will be used to develop training modules (on how to produce a life story and how to produce multimedia content) that will be tested locally with young people between 15 and 25 who have abandoned their education. Through these activities young people will reflect on their stories and the consequences of their decisions, will acquire digital and communication skills, will produce digital content which they can share with other young people at risk. At the same time the project aims to increase educators, teachers and youth workers skills. These groups will benefit from an innovative method for working with young people at risk. These groups are targeted especially by the training module on prevention of early school through digital storytelling and digital mapping and by the final publication, which will present the results of the experience and guidelines to apply and disseminate the method in other contexts.